Among auto legends he was one tall Texan. Carroll Shelby with the Mustang that bears his name. Slow was not part of his vocabulary. 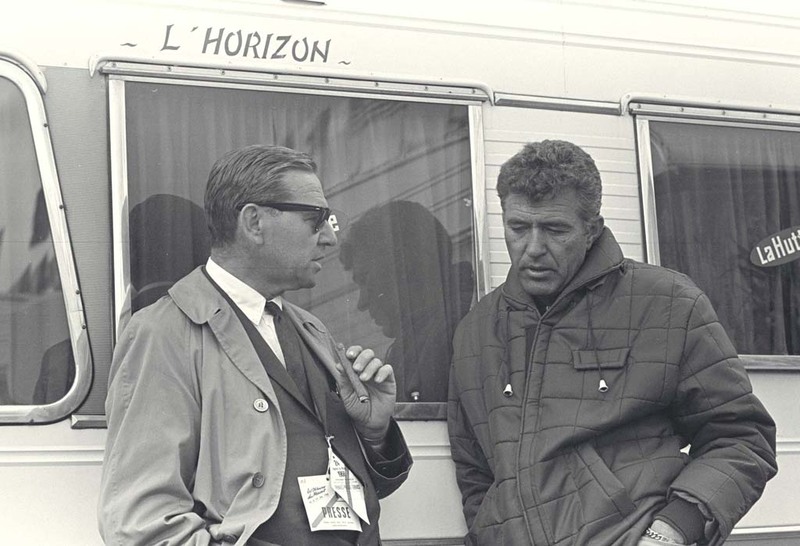 Carroll Shelby operated at one of three speeds: fast, faster, fastest, and even a serious heart ailment failed to keep him down for very long. The legendary automotive racer and raconteur passed away over the weekend after a lingering illness but, at 89, the tall Texan in the black hat lived far longer than he ever expected to — after getting a new heart and a variety of other transplants occasionally comparing himself to a battered old car. Though he was many things in his nine decades – from winning racer to pilot to chicken farmer – the son of a Texas mailman was likely best known for lending his name to some of the fastest “pony” cars ever built, transforming the Ford Mustang into an icon of American muscle. Carroll Shelby behind the wheel. 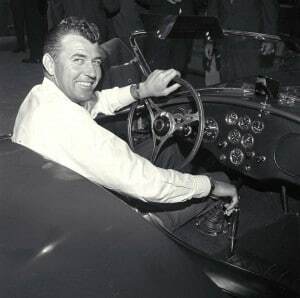 Born on January 11, 1923 in Leesburg, Texas, it seemed in his early years that Carroll Shelby might not have gotten out of bed, never mind amount to very much. At age 7 it was discovered he had a serious congenital heart defect that kept him largely bed-ridden into his teens. But by 14, it appeared he had “outgrown” his problem. Shelby had a passion for fast machines, whether on the ground or in the air. He was already racing in high school, but soon after graduation landed in the old U.S. Army Air Corps, serving through the Second World War as a pilot and flight instructor. It didn’t take him long after hanging up his flight suit to squeeze into another uniform, landing a seat with a series of race teams, including Maserati, Aston Martin and Cad-Allard. He set 16 records driving for David Healey, the eponymous founder of the Austin-Healey brand, and then was part of the team that won the 24 Hours of Le Mans, the world’s most grueling endurance race, in 1959. It was even more grueling than most people knew for Carroll Shelby. He still had his heart problem and spent his last few races with a nitroglycerin tablet under his tongue, hoping to keep his ticker going. He retired shortly after winning Le Mans – from racing, that is. Shelby continued to teach performance driving even as he launched his own specialty car company, Shelby-American, designing what remains one of the most iconic vehicles of its era. 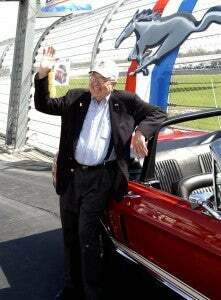 Carroll Shelby maintained a decades-long alliance -- and even longer friendship -- with Lee Iacocca. Alternately known as the AC Cobra or the Shelby Cobra, it was a sleek yet simple design – with a big motor installed in an English made platform produced by England’s AC Motors — that stood in sharp contrast to the bulky hunks of metal Detroit manufacturers were pounding out at the time. 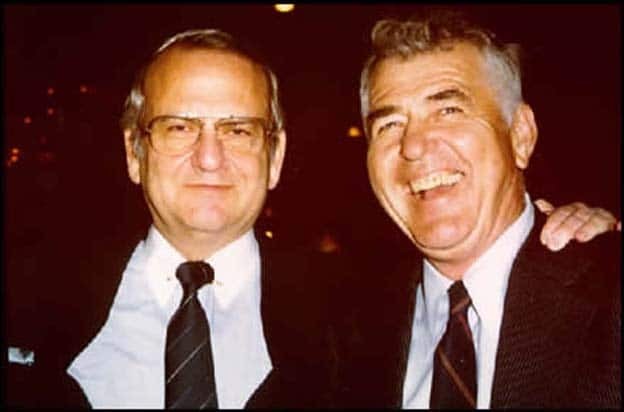 The big man had a way of making connections with his easy manner and cowboy drawl belying intense ambition and know-how. Shelby landed support from Ford in 1962 and parlayed that into the role that would bring his name to the public’s eye. In mid-1964, then-Ford President Lee Iacocca landed on the cover of both Time and Newsweek as the man credited with the maker’s new Mustang “pony” car. But the striking coupe was more show than go in its original incarnation and Iacocca turned to Shelby for help. Or perhaps it was the other way around, depending on whose memory you trust, Iacocca recalling, “I finally gave him the money to get him out of my office” after listening to Shelby pitch the idea of a truly high-performance Mustang. That alliance led to the birth of the Ford Mustang GT – and a personal partnership between the two men that would last for decades. After a brief break, Shelby’s affiliation with Ford would continue until – and likely long beyond – his death. Carroll Shelby with the 40th anniversary edition of the Ford Mustang. 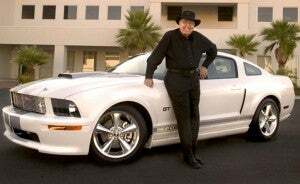 Shelby helped tune a variety of Ford products, including the original GT40 race car, but soon lent his name to the most powerful Mustang models, such as the Shelby GT500 and 427 Shelby Cobra, some of the fastest muscle cars of their era. He was also a consultant on the original Dodge Viper, a partnership that paired him with former Chrysler car czar Bob Lutz. In many ways modeled after the old Shelby Cobra, the original Viper Roadster was a raw and simple machine. It shoved a massive V-10 engine into a simple, 2-seat platform and proudly eschewed such niceties as anti-lock brakes and airbags. Even the radio seemed better suited to the ‘60s. After parting from Chrysler, Shelby and his Las Vegas-based Shelby American had a brief partnership with General Motors’ Oldsmobile before rekindling his alliance with Ford. Shelby had plenty to celebrate in recent months, the big Detroit maker announcing the latest iteration of the Shelby GT500, the Ford bodied performance car certified as offering the most powerful V-8 ever built into a series production car. At 662 horsepower it is capable to nipping 200 mph, putting it into the same range as exotic European imports like the Ferrari 458 Italia. Meanwhile, his own firm, now known as Carroll Shelby International, announced the 950-hp Shelby 1000, a customized version of the Ford Mustang priced at nearly $150,000 – not including the factory-stock GT500 a buyer would have to purchase from Ford before its conversion. 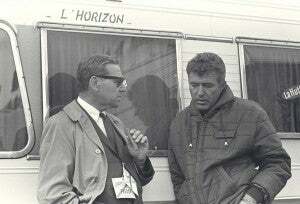 Carroll Shelby during his racing days. Shelby was a hands-on entrepreneur for much of his life, whether raising chickens – which occasionally had the temerity to die en masse – working on the airplanes he piloted until a decade or so before his death – or developing a new performance car. But in the final years he lamented that the real work was being done by the computers, rather than someone crawling under the engine compartment. Nonetheless, Shelby remained directly involved until the end. Shelby notably missed that preview as he began to succumb to the pneumonia that would ultimately take his life. Carroll Shelby had a way of tickling controversy, and a flap over the Shelby 1000 was just his final one, photos released to the media showing the car appearing to do a wheelie actually just Photoshopped. Shelby also got tongues wagging with his six marriages, starting with a 15-year partnership with the former Jeanne Fields, in 1944, with whom he had three children. Perhaps the biggest flap, however, involved the old Shelby Cobra. In their day, FIA required race teams to homologate their entries by producing at least 100 copies. Shelby never actually got to that number, playing games with the Vehicle Identification Numbers, or VINs, of the ones he did build. Years later, when original Cobras started trading at auction for well into 7-figures, Shelby officials announced they’d found “incomplete” chasses for the rest of the 100 and started selling “completed” models soon after. It soon turned out they were being built from scratch and were relabeled “continuation” Cobras. They continue to be built as the CSX4000. 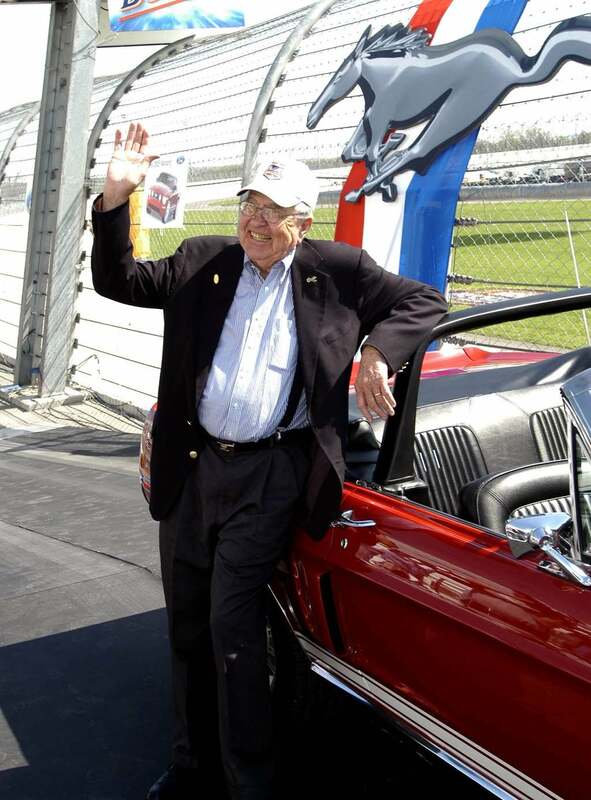 Despite such controversies, Carroll Shelby’s passing has triggered a wave of fond farewells. This entry was posted on Monday, May 14th, 2012 at and is filed under Automobiles. You can follow any responses to this entry through the RSS 2.0 feed. Both comments and pings are currently closed.